Chinoiserie is a perfect example of a design style that is truly global. Contrary to what it's whimsical China-inspired depictions might suggest, chinoiserie did not originate in Asia, but Europe. The word itself is the French equivalent of what might be termed in English as, "Chinese-ish." But despite the tongue-in-cheek nature of the idea and its name, chinoiserie has proven to be an enduring trend, particularly when teamed with toile, another French motif on wallpaper and upholstery. And like every design trend the beginnings of chinoiserie reflect the time, place, and mood of its origin. For chinoiserie, the story of its creation involves an enduring fascination with Chinese pottery, drastic changes in the French monarchy and the emergence of an international design aesthetic. The European fascination with the Far East can arguably be traced back as far as the writings of Rusticello da Pisa, a thirteenth century Italian writer who had the dubious good fortune to share a Genoese prison cell with Marco Polo toward the end of his life (1). Rusticello recorded the stories Polo had brought back from years of traveling the world with his father and uncle and decades of service in the court of Kublai Khan. The resulting work, which was known as "The Travels of Marco Polo," (among several other names) became incredibly popular. By the late 14th century, names of locations given in Polo's recollections were included in the Catalan Atlas of Charles V (2). Some 117 years after Polo's tales of China were first recorded they would inspire Christopher Columbus to search for a Western route to Asia - a journey he would undertake with a copy of Polo's book in hand (3). By the early eighteenth century European commerce with China had blossomed considerably. Among the chief exports of the Chinese to European markets was blue and white porcelain (4). Though porcelain created for export was generally of a somewhat lesser quality when compared to the finest works that Chinese kilns could produce, it was nevertheless ideal for sea trade as it was sturdy and unaffected by moisture (5). At a time when travel to Asia from Europe was prohibitive at best, the images found in blue underglaze on imported porcelain provided the only available depictions of China. This fact would influence European impressions of China more and more as human figures and landscapes became introduced to porcelain patterns, in large part due to demand from European markets (6). It was these images that would inspire the first chinoiserie patterns. But before that could happen, European ceramicists would need to unravel the secret of how to make porcelain themselves. Potters in Europe had been attempting to replicate Chinese porcelain since about the time of Marco Polo. While some moderate successes had been achieved, such as the Medici Porcelain of the late sixteenth century, none had managed a perfect replication of the Chinese product (7). The breakthrough came in the eighteenth century, from a number of sources. Possibly the most important contribution to European porcelain-making efforts came in 1712 when Père Francois Xavier d'Entrecolles, a French Jesuit Priest serving in China, wrote letters detailing the method that he had witnessed for producing the material, a process which had previously been kept secret from all foreigners (8). However d'Entrecolles' revelation was preempted by the unlikely discovery of Johann Friedrich Böttger, a self-proclaimed alchemist. Having boasted publicly of his power to turn lead into gold, Böttger was under house arrest in Saxony for failing to reveal his formula when, after six years of experimentation, his efforts to create gold produced translucent porcelain instead (9). Once European kilns were able to produce true hard-paste porcelain the battle was on for control of European markets. The first chinoiserie patterns were created to make European porcelain as close to the popular imports as possible while increasing the diversity of available patterns to attract more buyers. The illustrations were created by artists with virtually no knowledge of Chinese culture who simply expanded on designs found on imported porcelain or, more frequently, drew from their own imaginations. 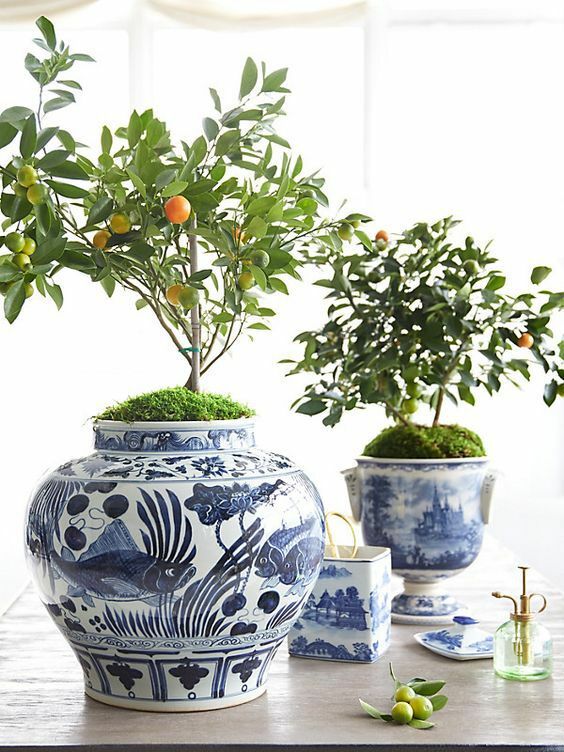 Without question the most popular of these patterns and the most enduring has been The Willow Pattern, created by English porcelain manufacturers in the mid-eighteenth century (10). When considering the willow pattern or other chinoiserie designs, it is important to note that accurate depictions of China were never the goal, as even the original porcelain illustrations were appreciated by European audiences more for the far-off, idyllic fantasy that they presented than for any lessons they might have offered on Chinese life and culture. Yet while the European porcelain market would continue to be a power struggle between imports and domestic goods well into the nineteenth century, chinoiserie designs were finding their way off of plates and vases and being swept up in a much larger phenomenon. In 1715, three short years after d'Entrecolles' letters revealed the secrets of Chinese porcelain, Louis XV, grandson of the sun-king Louis XIV, was crowned king of France following a wave of illnesses that took his grandfather, mother, father and older brother. He was five years old (11). His reign, which lasted more than sixty years, was rife with mismanagement, corruption and scandal. Yet for all that it is remembered as one of the cultural epochs of the French State. It was in Paris under Louis' reign that a new design aesthetic was beginning to emerge in answer to the strict rules and stiff opulence of the Baroque style that had defined fashion, art and architecture in the years of Louis XIV. Called Rococo from the French rocaille, for the highly stylized shell and rock motifs that adorned it, this style was in many ways a return to nature as well as an embrace of fantasy (12). Here asymmetrical forms blended with elaborate S and C-curve fixtures to evoke a lightness and whimsy that was far removed from the traditional opulence of Baroque period design. Chinoiserie, with its light, airy landscapes and fantastic illustrations of dragons and phoenixes against intricate pagodas, mountain ranges and running streams was the perfect complement to rococo's new aesthetic. At the same time, the chinoiserie style had transcended illustrations to influence forms of architecture and furniture construction. Soon both chinoiserie and rococo were favorites with royals and aristocrats across Europe, and it was rare that an upper class home was without at least one room done in chinoiserie style (13). The first large-scale structure to take a chinoiserie approach to its architecture was the Porcelain Trianon, built in the late seventeenth century for Louis XIV (14). However, it lasted only a scant sixteen years as the ceramics used in its construction broke down against the elements. It was then destroyed and replaced by the Grand Trianon (15). Later, in 1759, the dowager princess Augusta commissioned Sir William Chambers for the construction of several chinoiserie-styled pagodas as part of the establishment of Kew Gardens outside of London. As one of the few artists with first-hand knowledge of China from travels undertaken in his youth, Chambers is notable for often aspiring to accuracy in his chinoiserie works, however many elements of his design were not based in Chinese culture (16). Meanwhile, inside the houses and rooms of nobility, chinoiserie illustrations were combined with French toile motifs, appearing on upholstered furniture as well as hand-painted wallpapers. Louis XV embraced chinoiserie, filling entire rooms with their fantastical illustrations (17). Similarly the Gloucester home of the Duke and Duchess of Beaumont boasted a full chinoiserie bedroom designed in 1754 by father and son furniture craftsmen William and John Linnell (18). While the rococo style would eventually fade away faced with rising neoclassical sentiments among Europe's tastemakers, chinoiserie continued to find a place in decorations of all sort both in Europe and America, often with enthusiasts believing that what they were purchasing was an authentic piece of Chinese culture with a tradition stretching thousands of years into the past. In fact, as Chinoiserie designs became increasingly popular in Europe, many Chinese manufacturers copied or embellished on common designs such as the Willow Pattern, thus making it even harder to distinguish fact from fiction with regard to the history of the style (19). In the end, the beauty of chinoiserie is in the window that it offers on another world where dragons preside over idyllic landscapes, while phoenixes fly overhead surveying mountains, and beautifully adorned pagodas, all while the people who inhabit this world move through it as though it's all perfectly natural. Simultaneously the hazard of these pieces is in the temptation to conflate or confuse them with Chinese culture, or worse, Chinese history. Instead chinoiserie in all it's forms remains a fascinating byproduct of a relationship between world cultures that has combined international trade together with fascination, fashion and fantasy to create an enduring and recognizable art form that truly belongs to the world. What Is the Best Lighting for a Victorian Home? The best copies of the dual-fuel wall fixtures -- 1890s to the 1920s.